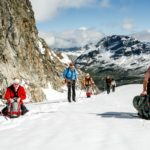 Join Michael Schott, an IFMGA certified guide, for this hiking adventure from the Allgäu Alps to the summit of Piz Buin, in the Silvretta range. 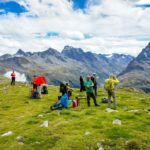 I am offering an unforgettable mountain outing around one of the most beautiful alpine areas of Europe. 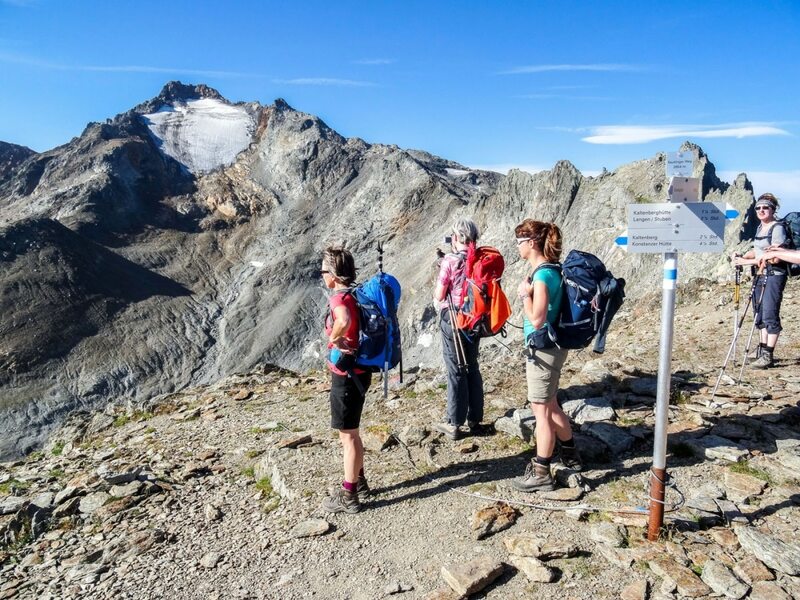 It is a 6-day hiking experience connecting the Algäu Alps and the Silvretta Alps, in the countries of Germany, Austria and Switzerland. We will meet in the Bavarian town of Oberstdorf (Germany) and take a bus to Kleinwalsertal, a high valley surrounded by the Allgäu Alps, located at the east of Vorarlberg, Austria. A few hours later we will be crossing the Hochtann Mountain Pass and taking another bus to Zug, in Switzerland. The following days we will hike around Stierloch (2,009 m), with incredibles views of the peak Roggalspitze (2,673 m) and the lake Spuller See. We will get to the summit of several peaks such as Kaltenberg (2,686 m), and enjoy unique views of imposing mountains such as Patteriol (3,056 m). 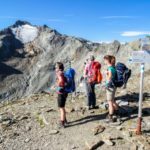 The highlight of this tour is climbing the Piz Buin (3,312 m) the most popular peak of the Silvretta Alps, on the border between Switzerland and Austria. The route is a gentle glacier and rock tour. 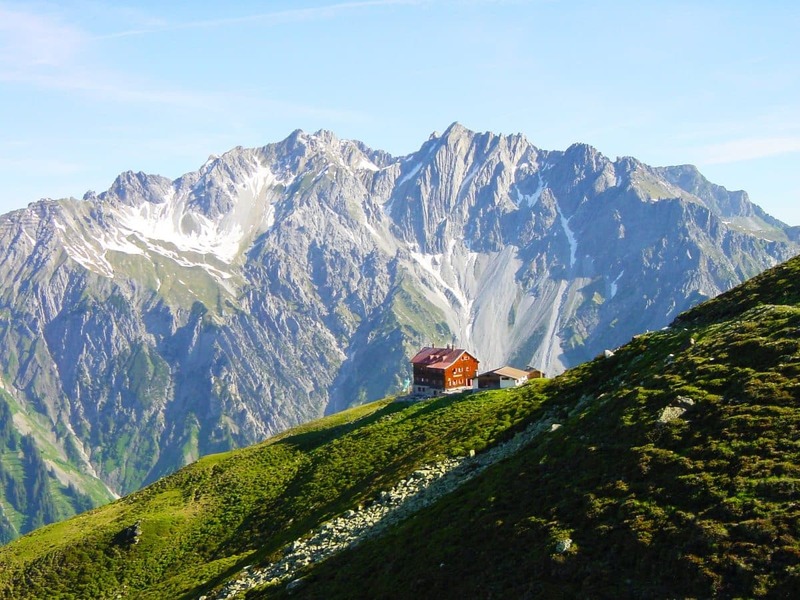 At the top, you will see the impressive panorama that stretches from the high Tyrolean mountains to the Tödi. The trails are usually well recognizable, but partly steep. You should have hiking experience and be sure-footed. 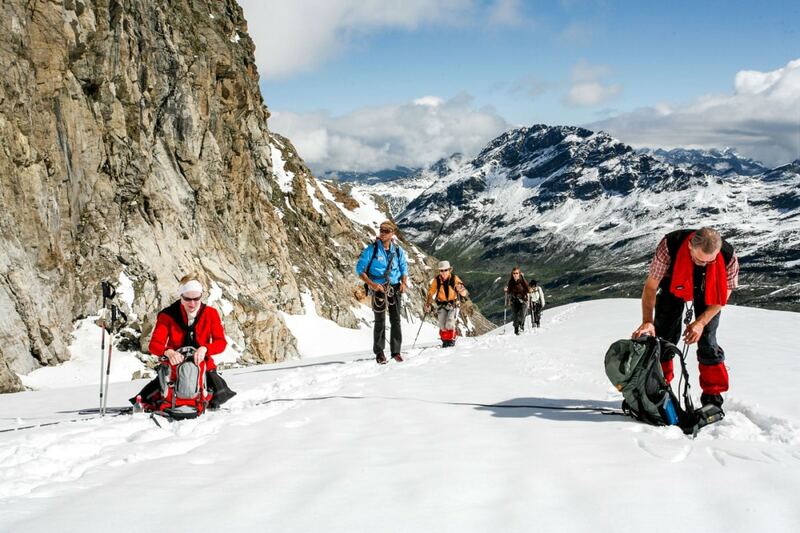 Furthermore, you have to be prepared for 7-hours walks at an altitude of 1,200 meters. 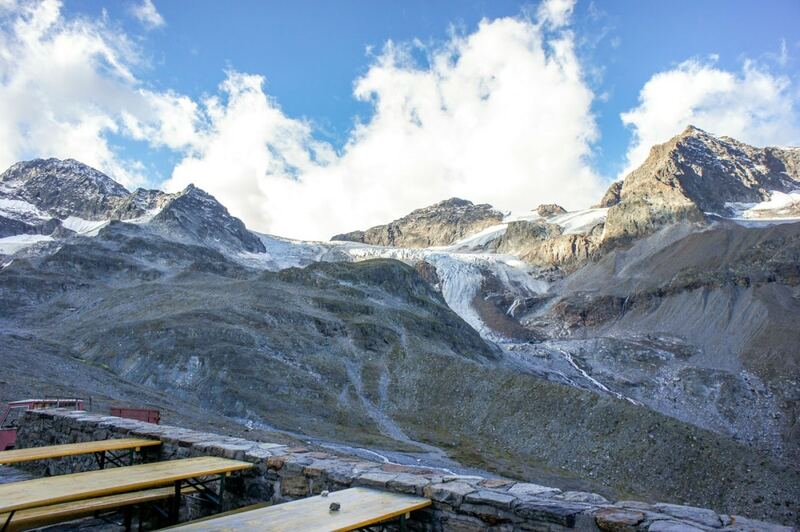 During the trip you will eat delicious food in the most charming and comfortable huts around the Alps. Some of the refuges where we will stay are Kaltenberg, Konstanzer and Wiesbadener. So, what are you waiting for? 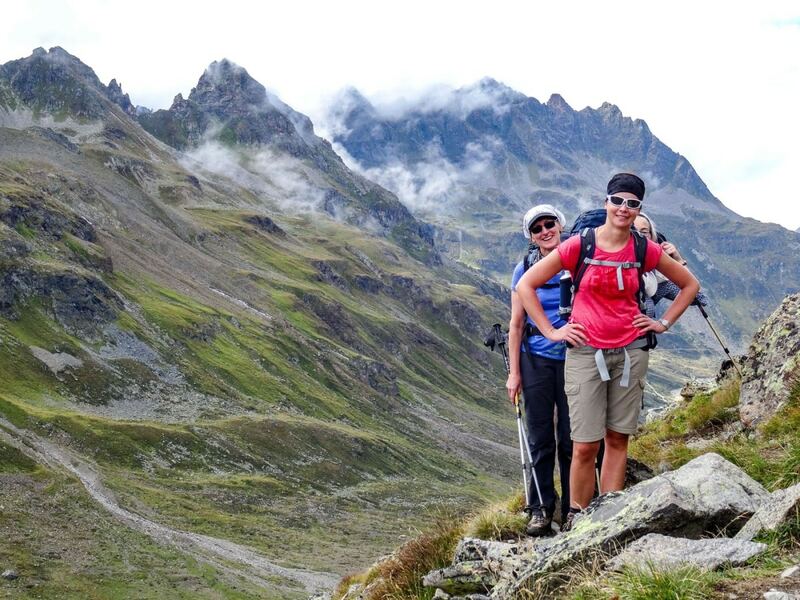 If you want to live a real hiking adventure going from the Allgau Alps to Piz Buin, please contact me! Let me guide you in this trip that you won’t forget! 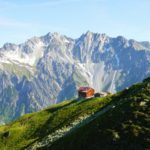 And if you are looking for a shorter trip, you can check out my 3-day Heilbronn Trek in the Allgäu Alps. Bus to Kleinwalsertal. Ascent to the Hochtannberg Pass, (1,679 m). Descent and bus transfer to Zug (Switzerland). 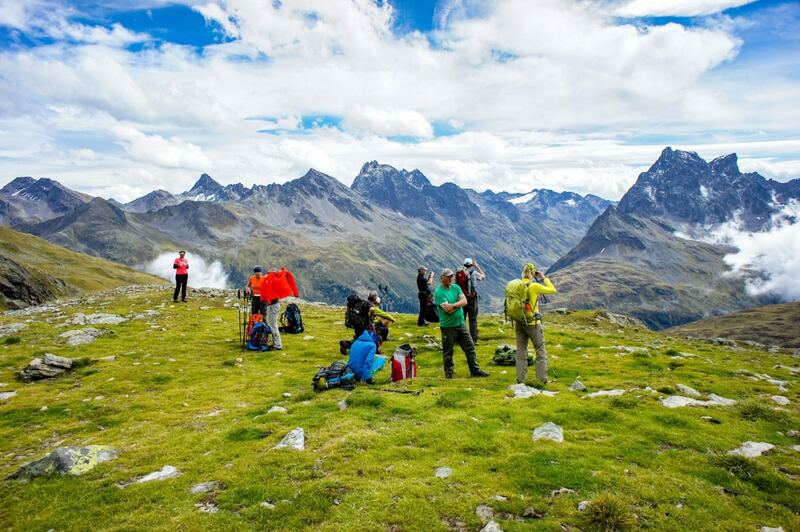 Hike to Stierloch (2,009 m), Ravensburger hut (1,947 m) and Langen am Arlberg (1280 m). Overnight at Kaltenberg hut (2,089 m). Climb to the top of Kaltenberg (2,686 m). Hike to Gstansjoch (2,573 m) and Konstanzer hut (1,710 m). Walk through the Schönverwall to Heilbronner hut (2,320 m). After a rest, we get to the Bielerhöhe Pass (2,038 m.) Climb to the Wiesbadener hut (2,443 m). With crampons on our shoes que go to the summit of Piz Buin (3,312 m). Walk back to Wiesbadener Hut.